Jewish Meditation is a part of the universal human capacity and practice of meditation which distinctively works with the instrument of the Hebrew alphabet. 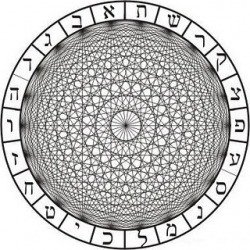 The Hebrew alphabet in the form of Names of G-d and names for particular entities and qualities becomes the key for awakening different attributes within the soul/mind including the rejuvenation of the body. There are simple, powerful, traditional techniques which are effective in clearing and stabilizing the mind, renewing and expanding one’s mental space, in helping a person to let go and receive the influx of new vitality, and in gaining access to one’s “inner voice” which is also known as the “voice of prophecy”. The meditation stages are concerned with what is known as “Tikun Hanefesh”. They form a unified whole, gradually leading a person “up the ladder” of his/her soul. All of them are well attested to in the tradition of kaballah. What is remarkable is how they work together. For this we can thank Rav Gedalyah Koenig of blessed memory, who transmitted the system to my teacher. This system is probably the best Jewish one available now, according to the reports of our students over the years. It really is quite simple, you have a temple within, you learn to enter it, clean it up, bring more light to shine in it, stabilize the quality of mind that you develop, awaken all the centers in your “body”, then unify them so that your awareness and mind is one, and you will have a greater access to the voice of prophecy within. This is the idea of the tikun hanefesh. When you can do it within yourself, it has implications for the overall tikun of the world.